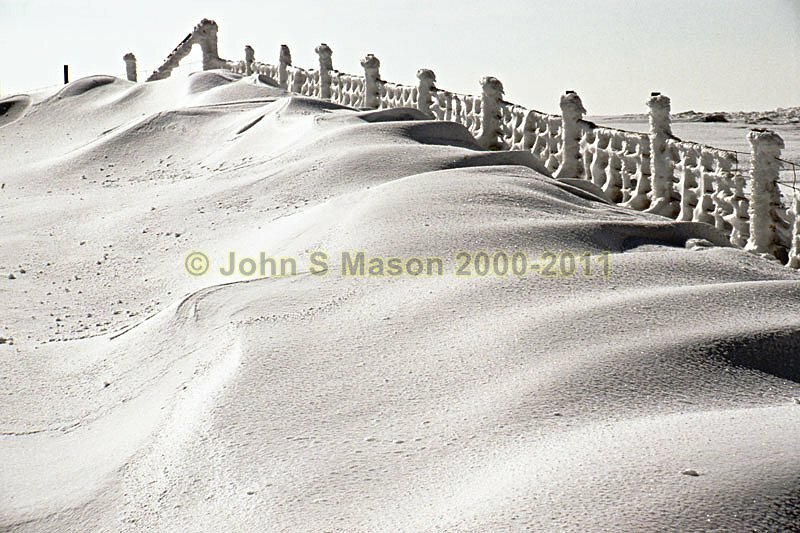 The Arans: Deep snowdrifts alongside the rime-coated fence that runs along just below the crest of the summit ridge. Product number 2000-2009178. Email me to enquire about this image: click HERE.